I've never been able to upload a photo both as an attachment in post or as profile picture. What is going on? I'm pretty frustrated. Attaching a pic always fails. It never comes up. How are you uploading the photo? From the desktop site? Or Tapatalk? I've tried with web browser and with VRHeads app. Both fail. Unbelievable. @LezCronut - which browser were you using? On a side note, if you want to send the image you'd like to use, happy to set this up for you (james AT mobilenations dot com). There is an imagine in passport, if Lez wants we can switch to it. It appears it DID upload, she just has yet to change to it. 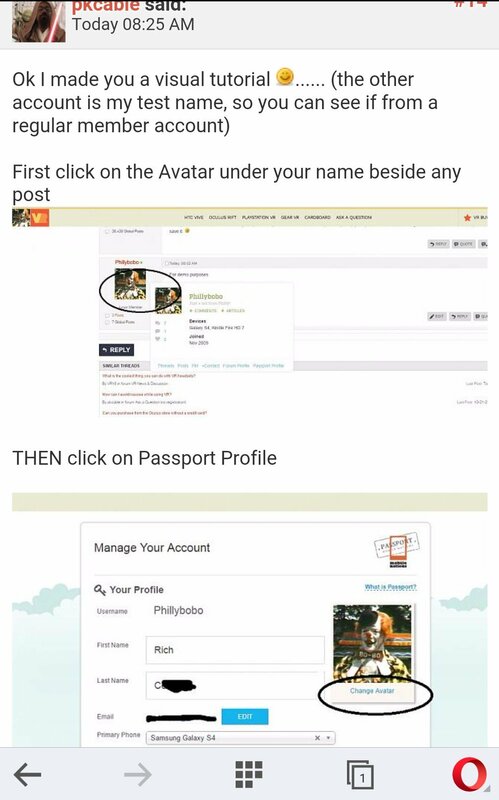 Lez, via the web browser, click on your avatar just below your username, to bring up your passport profile, THEN click on the words Passport Profile to see the settings, and then click on Change Avatar beside your avatar on that screen, THEN you'll see your downloaded avatar. Then save and you'll be set. There is no words that says "Passport Profile". Only Change Avatar. I just tried everything again with browser and this app. OMG nothing works. Want me to just do it? It was there, I just went ahead and selected it for you. Dude, how creepy that is! I'mma call the FBI! lol how did you do that? But I did upload it. It just did not appear. I'm a Moderator in another life. 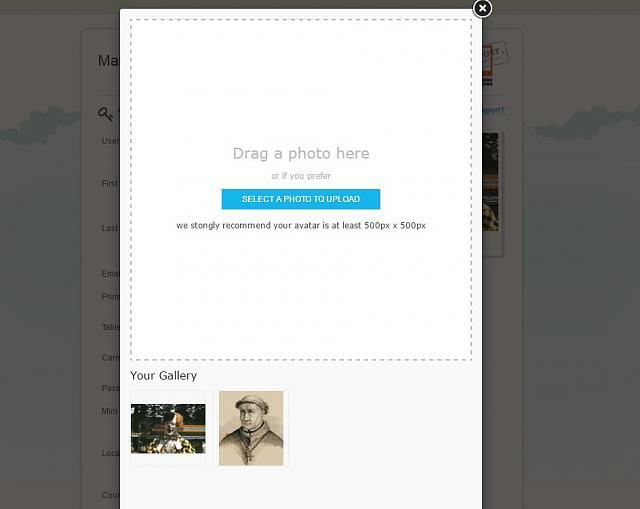 Anyways you HAD uploaded it, you just had not selected it via your profile. You can have several in there and you can switch between them. The system stores whatever avatars you upload. 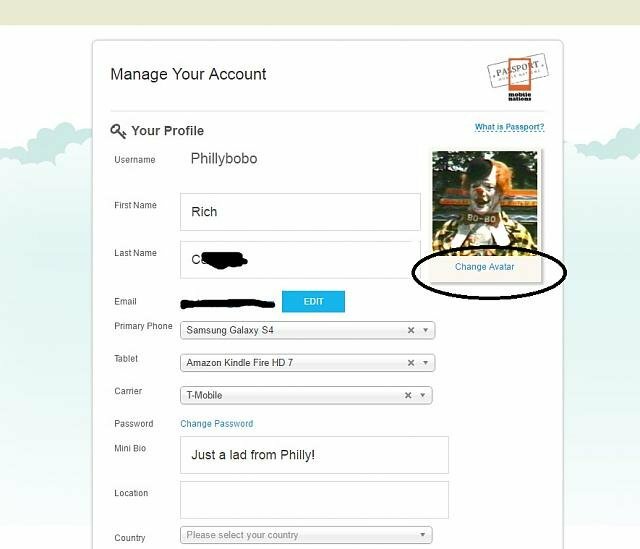 All you need do is from a computer is pull up your profile then click on change avatar, then select the one you want and then save it. THEN Select the Avatar you want and THEN save it. You CAN upload new ones at this point. All the images in your post are broken. with broken image icon. Know whats going on? Btw haven't you guys received a Daydream View? Cuz there's not yet a review with Pixel. Perhaps Opera's settings are not set to automatically load images? @LezCronut - you all good now? Can you purchase from the Oculus store without a credit card? How can I fix not being able to login to VR Forums App?